Future tense definition: The future tense expresses actions that have not yet occurred or that will occur at a later time. What is Future Tense in English? What does future tense mean? The future tense of verbs expresses events or actions that have not yet happened and that will happen at some point in the future. You will have been eating. What is a future tense verb? Here are the four future tenses in English. We have definitions and examples of each so you can learn past tense. What does simple future mean? The simple future tense expresses actions that will occur. The alarm will sound when you open the door. What is the Future Progressive? What does future progressive mean? The future progressive expresses actions that will be ongoing (actions that the subject will be in progress doing) at some point in the future. They will be waiting for you. She will be retiring soon. What does future perfect tense mean? The future perfect tense expresses actions that will be finished at some point in the future or those that will be finished before another future event. By the time you arrive, we will have eaten dinner. They will have lived in their new home for two years this fall. What does future perfect progressive mean? 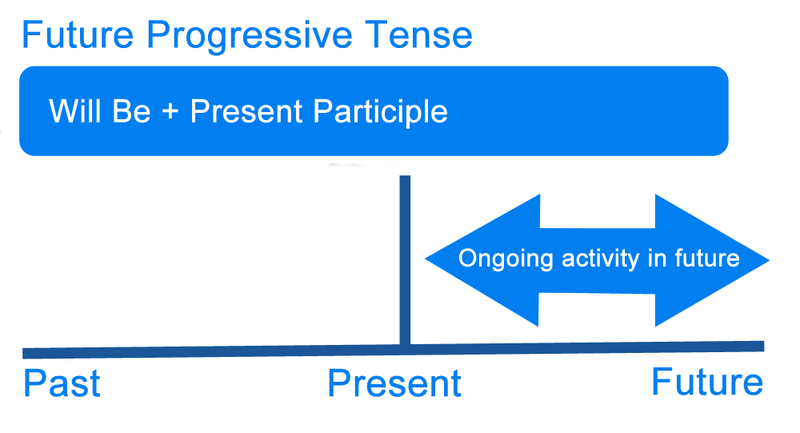 The future perfect progressive tense expresses ongoing actions that will be completed at some specified time in the future. In June, I will have been working as a professor for 15 years. You will have been driving for ten hours by the time we arrive. The above examples covered all of the various kinds of future tense verbs. English also has a present tense and a future tense. What does present mean? In general, present tense expresses actions that are truths or facts. She makes cookies every weekend. Smoking is a terrible habit. 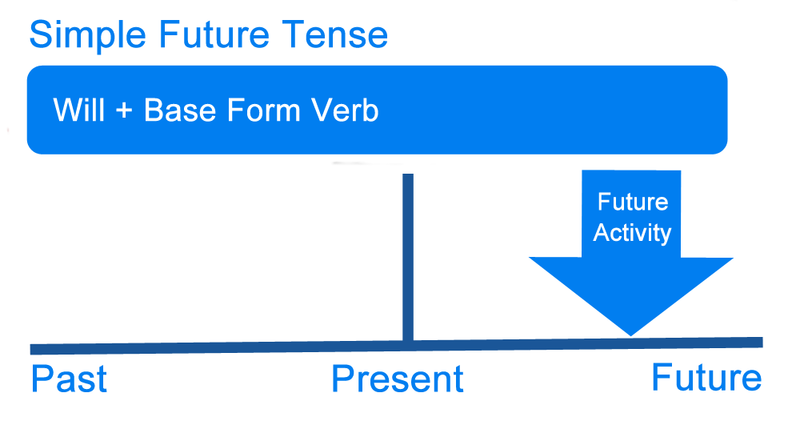 Summary: What is the Future Tense? Define future tense: In grammar, the definition of future tense is a grammatical tense expressing an action that has not yet happened. 1 What is Future Tense in English? 4 What is the Simple Future Tense? 5 What is the Future Progressive? 6 What is the Future Perfect Tense? 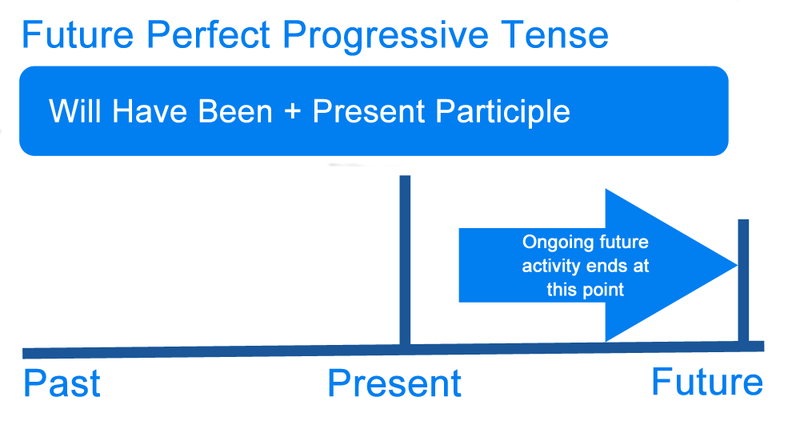 7 What is the Future Perfect Progressive Tense? 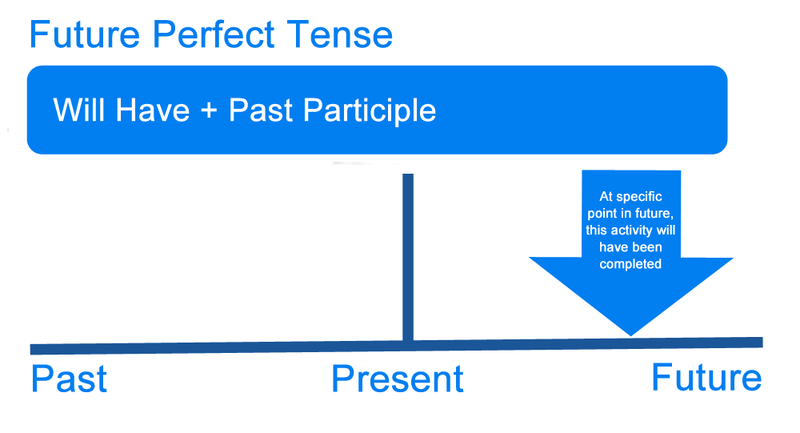 11 Summary: What is the Future Tense?